‘This book is intended to be a bit like taking some of your favourite works of art home so you can study them in your own time and in close-up. As well as that – someone will be nearby, unobtrusively pointing out inside information about each artwork. ‘When you go to an art gallery, the more information you have about a work of art, the more you can enjoy it. 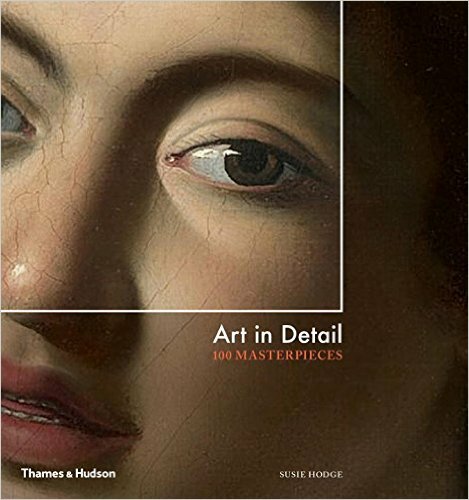 So this book gives loads of fascinating and intricate insights about various aspects of 100 works of art. With close-up pictures, the information given includes backgrounds to the artists, complications and problems they encountered, materials and methods used, palettes, materials, underlying symbolism and any changes or alterations made. External influences are also considered, such as political, social or economic issues, and personal factors affecting each artist.